On Creation Day 3, God planted the earth. Plants produce energy, so they had to come first. And plants did not come eons before animals. Life comes from life. This Law of Biogenesis has stood the test of repeated observation. It also follows from the irreducible complexity of cells and of their sub-assemblies. So why did God create plants on Creation Day Three, and not on Creation Days Five and Six? Plants do something that animals do not: they produce their own energy. They collect it from the most basic of all forms of energy: light. So plants, better than any other “kingdom” of life, can directly capture the energy that falls to earth from outside. Some life forms can capture chemical energy. But chemical energy is a form of storage, like a battery. Light energy is direct and basic. Where did this light come from? On Creation Day Three, the light that the first plants used was the same light that came from the creation of the first matter on Creation Day One. God would create Earth’s permanent lamp, the Sun, on Creation Day Four. 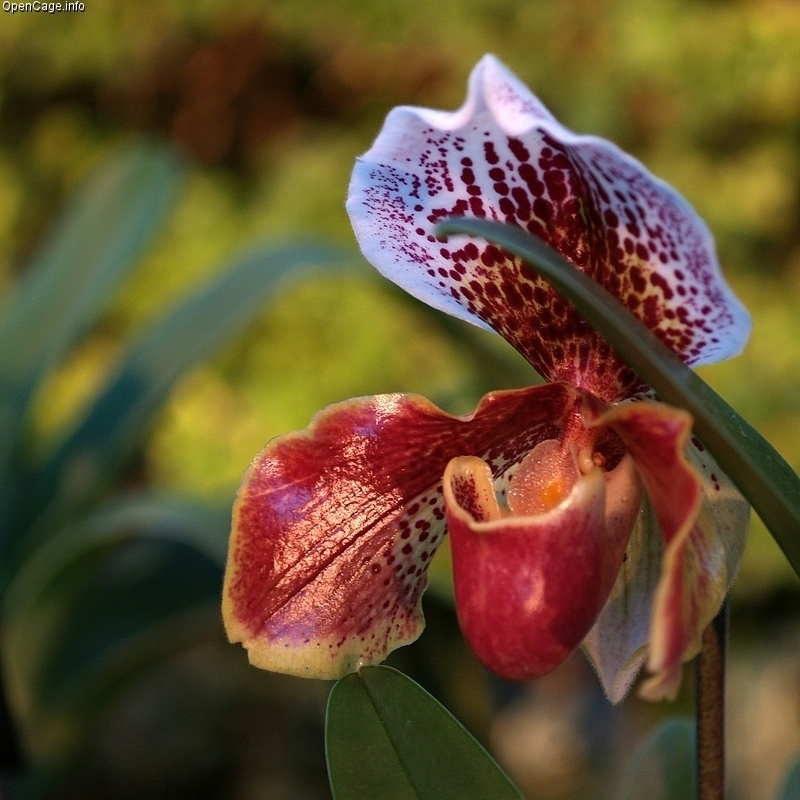 Paphiopedilum, one of the most beautiful of flowering plants. Photo: Plant Museum, Miracle Planet, OpenCage. Creative Commons Attribution/Share-alike 2.5 Generic License. Some theistic evolutionists (or progressive creationists) try to “fudge” the Bible into agreement with uniformitarian geology. Uniformitarianism says that processes that work today, have always worked in the same way, at the same rate, since time immemorial. That “fudge” fails on every possible ground. First, plants produce their own energy, but still need carbon dioxide to store it. In the two “ages” between plants and animals, they would use up all the carbon dioxide in the atmosphere and would then all die. Second, the fossil record has plants interspersed with animals. Therefore, plants and animals lived together, and, since Creation Day Five, always have. Of course, the atheistic evolutionists have no problem, or so they think. They say that plants and animals “evolved” together and “appeared” together. If so, they appeared remarkably soon after the earth itself began, in the “Cambrian Explosion.” How did the first chloroplasts, let alone the first full plant cells, self-assemble? The simple answer: they couldn’t have. With the Great Planting, Creation Day Three ended. Genesis 1 says that at the end of this day, God declared a satisfactory result.